Based in the south west of England we aim to produce high quality hand crafted audio equipment with a level of friendly personal service to be proud of. We not only design & hand build amplifiers, DACs & phono stages, but it is somewhat unique in that we have full machining capability to manufacture our own enclosures, front panels & other items in our purpose built workshop. We prefer to concentrate on quality rather than quantity & while the term “hand crafted” is sometimes bandied around by manufacturers these days, in our case hand crafted really does mean just that! whereby items are machined using good old fashioned engineering which are skills sadly lost in today’s disposable mass produced market. We are also fully qualified & have over 30 years of experience in electronics & also mechanical engineering, it also helps that we are highly enthusiastic & passionate when it comes to anything audio & as such our products very much appeal to like minded people like ourselves, who appreciate high quality hand crafted items, rather than something mass produced with no personal attention. Many products these days are made in the far east with lower grade components to be as profitable as possible. The reason why we can build some of the finest amplifiers & DACs yet still be extremely competitive is because you can only purchase from our web site. Other mass produced amplifiers are available from a number of retail outlets, quite rightly these distributors & retail outlets all deserve a share of the profits but of course this means you end up paying for this with inflated prices. It would be completely impractical for us to out source to the far east & still maintain the extremely high quality & standards we have a reputation for providing, therefore every process is performed right here in the workshop. While there will always be products on the market aimed at cutting costs which quite often come & go, we truly believe that there is always demand for a British hand made & hand crafted product, built to last with professional quality & standards, all backed up by personal service. When you purchase an amplifier or DAC from us, each one is made to order entirely by hand with designs that have been fully researched & extensively refined & tweaked over many years to compete at the very highest level, while using the highest quality components for long term reliability. There is a lot of choice today when it comes to headphone amplifiers however while the phrase “Hand Made” can often be used, in reality all this really means is assembled by hand & is no different to a lot of factory line goods. However, we take this a lot further since we actually craft by hand individual items like solid aluminium front panels, volume knobs, even the aluminium feet with inset rubber on all our Reference Series are machined from solid bar stock by hand right here in the workshop. Of course a simple stick on rubber foot would do the same job, but this just highlights the attention to detail we put into every aspect of our products. Both of us here very much enjoy what we create & are passionate about quality, not only in the actual audio where it really counts but also in the construction of our amplifiers & DACs, certainly no other manufacturer be it large or small would be willing to go to such lengths (let alone possess in house full machining capabilities which includes aluminium anodising & screen-printing), but understandably it is far easier for many to simply buy in ready made panels, knobs & even pre-assembled PCBs & then simply assemble like a kit, we just see no pleasure in this & prefer to design & make everything ourselves since we have full control over the final quality. Every single component is hand soldered including surface mount components, however being hand made does not mean it looks like a DIY project, our amplifiers & DACs are of a professional standard far higher than any production process since each one receives far more personal care & attention during the build process. Once the PCBs are made with all components soldered, they have their headphone sockets, RCA jacks etc, all hand wired using quality OFC cable & assembled into the final enclosure with each one tested on professionally calibrated test equipment. We prefer to use hand wired panel mount sockets & jacks as opposed to the cheaper PCB mount types since the reliability is far higher, especially in the case of RCA input jacks or headphone sockets as these are subject to prolonged force when inserting interconnects & headphones, in time this can cause problems with PCB mount types often used in production amps/dacs. 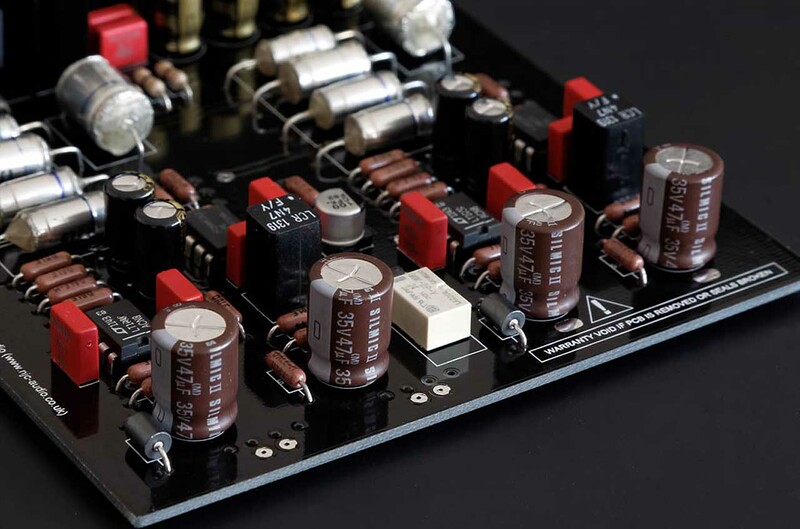 When ordering from us, you are guaranteed a quality amplifier or DAC with every single one we build having attention to every detail, with each one carrying a unique build code which is registered to that customer. We have heavily invested in a wide range of equipment & are totally dedicated to building quality items that not only sound superb, but are also a good investment being of British design & build & not requiring PSU upgrades or component modifications in order to sound better. The photo shown on the right shows one of our front panels being machined by our experienced machinist. Rather than using a CNC process used with mass produced items, we prefer to machine these by hand using metal lathes, milling machines & drill presses with of course lots of good old fashioned knowledge & experience. Every front panel is finished off by hand to remove any of the surface scratches that can appear from the result of machining, the final finish we aim for with every panel is a very fine & uniform brushed aluminium look. After this the aluminium needs to be sealed by means of an anodising process, fortunately a skill our machinist is also trained in so this is another process we have full control over & perform right here in the workshop. Once anodized, the front panels are extremely hard wearing & will certainly stand the test of time. Another stage that we are able to perform in the workshop is screen-printing. We have the equipment to perform this task ourselves so after each panel has been anodized, we screen print each panel in small batches (shown on the left), the ink used in this process is also chemical resistant & is extremely hard wearing. 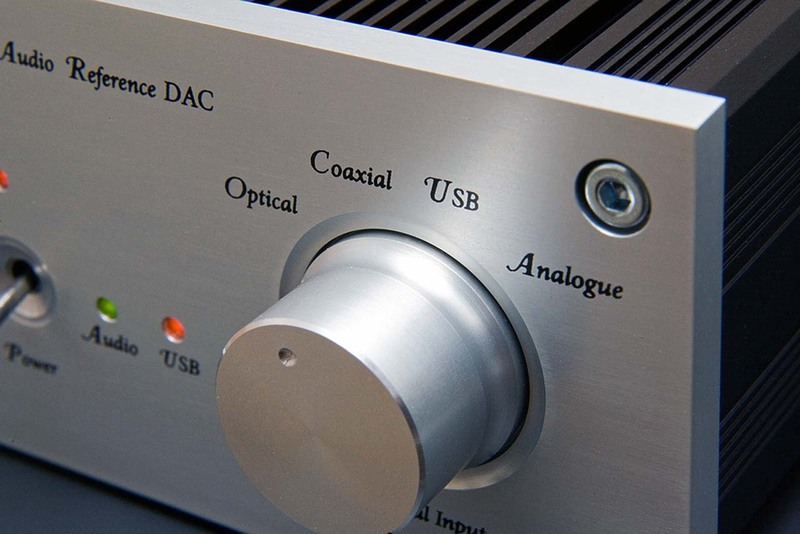 The process of choosing the right amplifier or DAC can sometimes be bewildering due to the ever growing choice of products on the market, with so many marketing claims it can be hard to separate myth from facts, however at NJC Audio we truly believe that people will always appreciate well made quality items based on solid engineering with proven techniques, all backed up by great customer support. While the majority of information for our products is contained on the web site & also within the downloadable PDF available on each product page, should you need to contact us before making a purchase, you will always receive a prompt reply with friendly helpful advice. Please also consider before you purchase an amplifier that your headphones actually benefit from amplification, since some reveal more benefits than others. While not fool proof, generally if a headphone is marketed as being “Made for iPod”, they have usually been designed to work on most portable low powered devices, therefore amplification may not be required or may make very little difference. The type of headphones that show the most benefits are mid to high end full sized reference headphones, with many people reporting more life & dynamics from such headphones when driven properly & quite often many finding their portable devices simply not up to the task of driving them properly. If you are unsure whether your headphones require an amplifier, please ask before purchasing. The most common question we are asked by customers is how would their particular headphones sound when used with one of our amplifiers. The amplifiers we build are designed to have completely flat frequency responses, ultra low distortion & have been tested on the bench using calibrated audio test equipment as well as real world testing using a wide range of headphones we have available here in the workshop, such as the Sennheiser HD800, Tesla T1 & many others popular models. Since the amplifiers we build exceed what is required by headphones, you can be assured that the amplifier will never be the limiting factor in your Hi-Fi system. We also do not make any wild marketing claims, like for example purchasing one of our amplifiers will suddenly transform the sound of your headphones into something entirely different. This is simply not the case with high end audio, in order to achieve better sound quality requires a combination of a good source such as a high end CD player with a DAC, along with reference quality headphones which are a good choice for the intended music genre as well as being personally well suited to your own taste. Headphones will always make the largest change in overall sound character & invariably suit some types of music better than others, therefore if a headphone has a sound character which is not well suited to either the choice of music or your own taste then no amount of amplification will ever change this. If you are at all unsure whether your headphones even need an amplifier, please contact Us since we always provide honest unbiased advice based on experience & facts rather than marketing or sales talk. While it is true we design & build amplifiers for people, if I feel your headphones or other equipment would not benefit from an amplifier then I would of course tell you this & instead provide advice on other ways you could improve your system. Providing you have a decent source & are using a good quality pair of headphones, then introducing one of our amplifiers or DACs into your set up will ensure that your headphones are being driven to their optimum ability. However please be aware that if your source or headphones are of average quality, introducing an amplifier into this kind of set up will never perform miracles. Our amplifiers are also very neutral, this does not mean dull or boring but basically means that they have a flat frequency response with any headphone load & do not emphasize any particular end of the frequency spectrum. Combined with ultra low distortion they will not change or colour the sound, therefore if a headphone is known to be light on bass even when driven properly, this will still be the case. Likewise if a headphone is known to be very warm sounding then it will still remain this way, our amplifiers will ensure your headphones are driven properly whilst maintaining neutrality albeit with real authority & power, making music far more enjoyable to listen to. As always though the final sound character whether it be warm or bright, will always be determined by your choice of headphones. While the world of audio has & always will be full of myths & over inflated claims of which are rarely backed up by any factual proof, we do not rely on such highly inflated marketing hype in order to sell our products. Instead we prefer word of mouth whereby owners of our equipment leave feedback for our web site, we believe this approach is far better since it is based on actual owners experiences. Therefore when you purchase an amplifier or DAC your feedback is always very much appreciated since this can then be posted directly on our web site for others to read. We also consistently receive very positive E-mails from owners including some past customers who keep in touch from time to time to let us know how they are getting on which is always interesting for us to read. Many thanks for reading this & if you have any questions or need any advice, please feel free to contact Us.